Welcome back. Nancy Hill with Tutti Designs for every Tuesday and excited to show you my card with the gorgeous Tutti Designs Holy Crosses in the Tutti Designs' January release. Isn't this die just stunning and you can probably image many ways of using this die for your cards and projects. 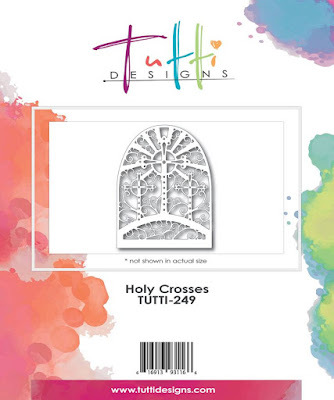 The Holy Crosses die measures 4 1/4" x 5 1/2". 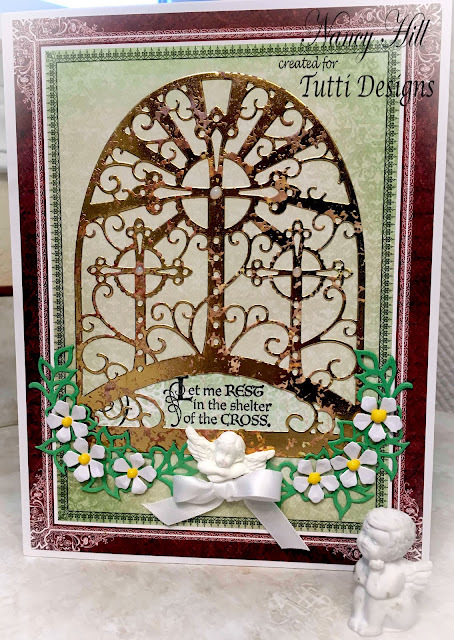 My finished card measures 6 1/4" x 8". 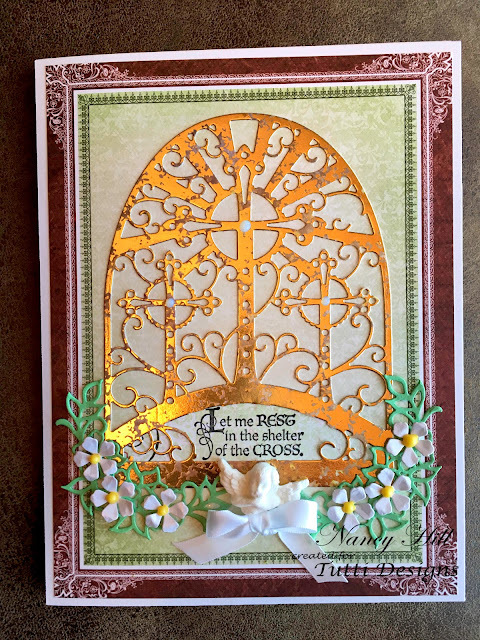 I cut the Holly Crosses using the Recollection Gold Foil card stock and adhered it to the card with Aleene Fast Grab Tacky adhesive spray. 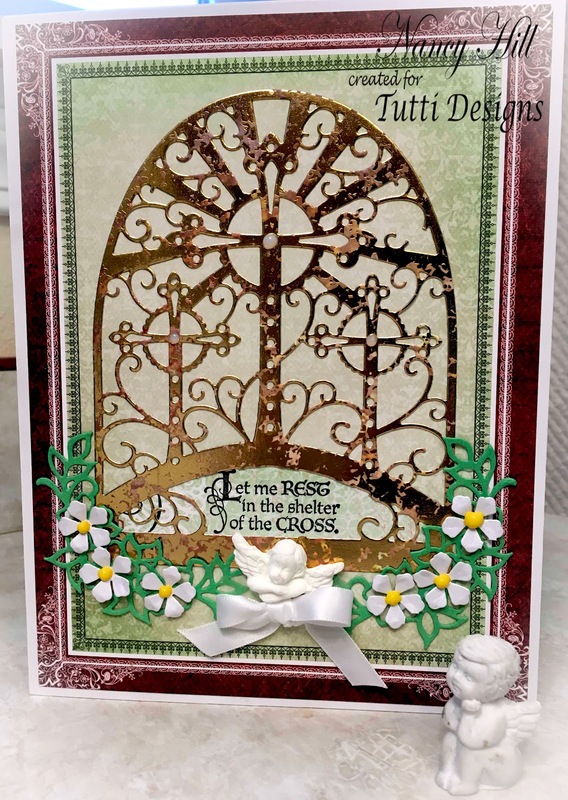 Lately, I have been using this adhesive spray for all of my dies since it is easy to use and the entire die cut sticks to the card. I love adding flowers and bows/ribbons to all of my cards. I used the Zutter Bow It All to make all of my bows like the one below.